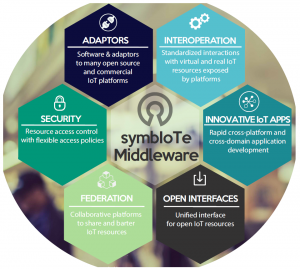 symbIoTe middleware has a new dedicated site: check it out! Our Open Source IoT interoperability middleware has a new minisite! Visit middleware.symbiote-h2020.eu and get the latest info on our release features, how to get started with our code, who’s using it. Join un in our growing and vibrant community on GitHub !